It’s never too early to begin teaching children about nutrition and healthy eating. Parents are typically the ones to begin establishing healthy eating habits for the whole family but whilst parents are at work, it’s nanny who can help to build upon this foundation and encourage children to continue eating healthily. It’s normal for everyone, children included, to develop the occasional craving for something sweet, junk food and fast food. Think about it, how many times have you taken your child for a happy meal because it’s cheap and easy? There’s nothing wrong with it, in moderation. But it’s also important to teach children how to moderate their cravings and why they should. 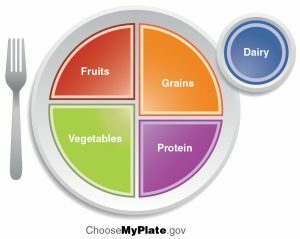 Begin by teaching your child about the nutrition plate. Top Tip: You can buy nutrition plates for children online here or make your own with paper plates! 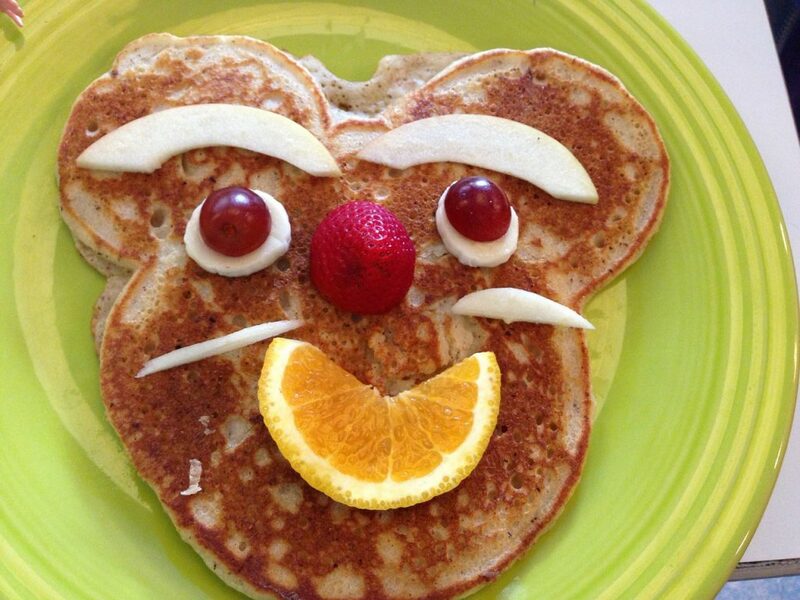 Getting the kids involved in designing their own plate is a great way to teach them why portion control is important. The main things to note are that you should have mostly vegetables on your plate, followed by fruits and grains, with the smallest portion being protein. You can then have a small side of dairy. One of the great things about nutrition plates is that they also help to reduce regular large portions that can easily lead to obesity. This is a great opportunity to have a little fun whilst also encouraging children to try new foods. On your next shopping trip, as well as the staple items that you usually buy, try choosing some new options. How about, kiwi and melon, as well as the usual apples and bananas? You could also buy nuts or seeds as well as your regular beef and eggs. Try pasta and whole-grain tortillas instead of bread and cereal. Lay them out on the table and ask each child to match a piece of food to a portion on their nutrition plate. Don’t forget the dairy! Allow them to experiment tasting any new foods and help them along if they’re unsure of where a particular food belongs. This can also be a great way to help inspire new and exciting meal ideas! You can even transfer this lesson to the weekly shopping trip by getting the children to help you find different items that will help to make up a healthy plate. Talking about nutrition can seem a little daunting since there’s so much information available and it’s constantly changing. However, teaching children a few basics can help them to understand why it’s important to eat healthy foods. Try these to help you get started. Drinking milk makes you big and strong – It’s true that growing children need milk to help their bones grow. Teach children that it’s the calcium in milk that’s so important and that the calcium found in things like yoghurt and cheese can also help to keep their bones and teeth strong! Vegetables are full of vitamins – The vitamins found in various vegetable help to keep your hair, skin, eyes, teeth, gums and brains healthy and fully functional! Fruits are for fibre – Fruits are great for keeping your heart healthy whilst also helping to prevent cancer and heart disease. Carbs equal energy – Teach children that grains are great for healthy development. They give you energy, that helps you grow. They keep your blood pumping and help nourish the brain. Protein heals – Proteins including meat, nuts and seeds, help your body heal from injury. They also fill you full of energy, which makes them perfect to eat before a sports event or big outdoor play session! Keep your lessons clear and simple and allow children to get hands on and experiment with different food types. Learning about nutrition can be fun and will help to keep your child healthy. If you have any tips on teaching nutrition to children, share your comments below!